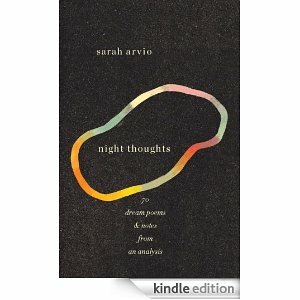 I first met Sarah Arvio at a party at a book festival. Over glasses of wine, big crowds, and cookies, we bonded. I am not a poet, but I loved the way Sarah talked about her craft and her art, and I wanted to host her here. Thank you, Sarah! How did you know you were a poet? I was always a poet. I climbed up in trees, carrying a pencil and a pad of paper; and wrote words and even some verses while perched on a branch. I liked to get away from the crowd, and have a secret, meditative moment. I read voraciously, and tried out new words almost as soon as I read them. One of my friends wrote this in a letter: Sarah is a poet, she enters the room hopping on one foot! I was young, and loved silliness. night thoughts is half poems and half prose. The prose is a memoir and an essay, about trauma, dreaming, memory... It complements the poems and tells a story. A writing life is a laptop. For a long while it was a notebook and a pen. Recently I began composing poems on my iphone voice memo while out walking--this has revolutionized my writing practice. 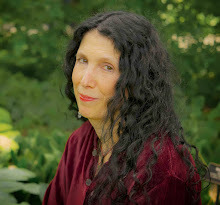 As a translator, I am often traveling; life on the move is full of variety and surprise; new images, new words appear in my poems--so this is a writing life. People like to quote Wordsworth as saying that poetry… “is emotion recollected in tranquility.” But the same sentence (in the preface to the Lyrical Ballads) calls poetry “the spontaneous overflow of powerful feelings.” I have often written poems straight out, dripping tears on my hands as I type. Sometimes I also laugh when I write. What concerns you in poetry? And tell us what a dream poem really is? The movement of the words, and rhythms and repetitions, pull you along. The language should be immediate, and real. Feel fresh, and sound like life--while at the same time being removed from life. It should be as exalted as life, maybe, and dynamic--something sets it apart from the way we talk. I like irony and humor even in the darkest work. I’ve always loved the chime of one word with another, the convergence of similar sounds; I love to hear and follow rhythms. Working on my dreams--free associating from dreams--made my writing freer and more fluid. 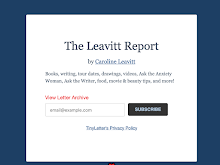 I riffed--on sounds, words, images. It’s often said that dreams don’t make good poems, because they are the private secret language of the dreamer. My dream poems --the poems in night thoughts-tell dreams in the setting of the emotional experience, and transformed by the process of free-associating. In some of the poems, the dream is followed by the memory it led to. Often, the language of the poem interprets the dream. There were many surprises and new revelations as I wrote. My taxes. I’m two years behind. I stopped taking care of anything that interfered with the creation of the book. I kept on cooking; I went on walking in the fields: life must have its pleasures and fulfillment. But I have a lot of straightening up to do. Infinite possible questions were left out!